I got the remedy for all ye high tea gatherings. Our pack of 12 scones is perfect as a present. INGREDIENTS: Water, white rice flour, brown rice flour, tapioca starch, corn starch, buckwheat flour, unrefined sugar, raisins, cold pressed rapeseed oil, coconut yoghurt (water, coconut milk, modified maize starch, dextrose, salt, thickener: pectin, colour: carotene, calcium phosphate, vitamin D12, vitamin B12, natural flavouring, non dairy yoghurt culture (S.Thermophilus, L.Bugaricus), lemon juice, stabiliser: xanthan gum, sodium bicarbonate. SHELF LIFE:Average 10 days at room temperature. it will last longer at chilled temperature. Suitable for freezing for 3 months. Nutritional Information:(100g contains) - Energy (kcal) 371(kJ) 1552 Fat: 18g Fat of which saturated: 2.5g. Carbohydrates: 47g. Carbohydrates of which Sugars: 28.1g. Fibre: 19g. Protein: 5.1g. Salt 0.29g. Craft scone made by the Incredible Bakery in Warkton, Northamptonshire that has no contact with any of the 14 common food allergens defined by EC Regulations. 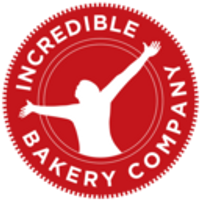 These were Recommended to me and I must agree, they are really good, but then i’ve not yet had anything from the incredible bakery company which I haven’t enjoyed!